I recently learned how to host my own sites through Amazon Web Services, so I’ve been migrating all the sites I own off of my friend’s server/my Namecheap hosting and storing them there. Namecheap is pretty, well, cheap, but I’ve decided I like the AWS hosting experience much better, and it’s honestly cheaper in the long run for a lot of the sites I own. I’ve taken this opportunity to back up a lot of the Plus Ultra games hosted at plusultra.ninja, and to create more sensible locations for some of the older games and media which were previously only reachable at very specific weird locations on my old site. I’ve also hosted some other media online for future reference. It’s worth saying that I use this face repeatedly on twitter not because it means anything specific to me, but because its blandness achieves, I think, the perfect VOID of emotion. It is a null expression in that it’s a facial expression that communicates ABSOLUTELY NO EXPRESSION WHATSOEVER. Also, it’s a bad, ugly face; I do not know why anyone is attracted to Norman Reedus. 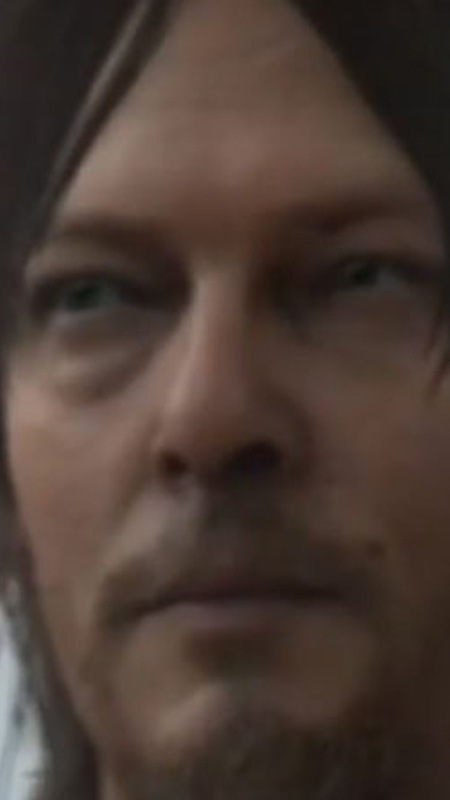 I can understand Kojima’s obsession with Mads, but his obsession with Reedus is totally baffling and suggests to me that Kojima is not a genius human, but, in fact, an ensorcelled victim ridden by some strange demonic spirit whose sexual tastes are totally orthogonal to normal human experience. Perhaps he sold his soul to the devil, and in exchange for giving him game development success, the devil cursed him with an attraction to the face and body of Norman Reedus. Who knows! And, finally: here is the content of the excerpt of The Dream Journeys of Bram Hessom, as it appears in Frog Fractions 2/Glittermitten Grove. People often contacted me after GMG came out to ask me where the rest of TDJOBH could be read. Sorry, the story can’t be read in full online!! I’m not done with it! But if you’d like to read the original form the story took when I was trying to write it for the first time in 2013, you can check out the ‘Under the Village’ unfinished demo linked above. But, backstory: The Dream Journeys currently exists as a 90-page draft manuscript that requires major edits. I put the first 15 pages into Frog Fractions 2 because Jim suggested to me that I could put anything, “even a novel,” into the game– so I took him up on that offer. I plan on finishing it– doubling its length, probably– and releasing it someday. It’s special to me because it is mostly just a sendup of late 19th/early 20th century adventure fiction like Journey to the Center of the Earth, 20000 Leagues Under the Sea, The Lost World, etc. This genre was very influential to me as a child. My favorite thing about Jules Verne’s work is that it was, at the time, science fiction– but today it reads like fantasy. I started writing The Dream Journeys because I wanted to write fantasy about characters who believe that they are living in a science fiction story. The story’s title is actually a reference to another influential work I read when I was younger, HPL’s “The Dream-Quest of Unknown Kadath,” which has a plot somewhat similar to the Dream Journeys, particularly in its fantastical elements. You can find the Dream Quest here. It’s a bizarre story with an ending that I find incredibly poignant . Nostalgia and homesickness are, it sometimes seems, a kind of constant and incurable curse that modern young adults in my profession are all forced to live under. We spend a lot of time making homes that will never quite match the rosy imagined fantasies of the places we used to live, and building fantasy worlds which blurrily reflect the vanished places and circumstances of our childhoods. I can’t quite tell you whether I fear or long for the moment when I realize my creative journey has really just taken me on a squirrely trip into the back of my own head.